DV7 Soccer San Diego is a neighborhood youth soccer club dedicated to developing young soccer players by providing a local, club environment while also exposing the players to the international soccer world through David Villa and the DV7 Soccer Academy. While we welcome players from all parts of the city, the club is designed to be a high-level soccer school for local players and families. With the unique advantage of having practices at one facility all year-around, the club's professional staff aims to provide a convenient and organized program with the highest standard of coaching. The main objective is the comprehensive development of the players through the sport of soccer. To that end, we constantly evaluate the technical and intellectual trajectory as well as the personal skills of the children. We strive to combine the personal and athletic growth of each player within the healthy environment of the sport. 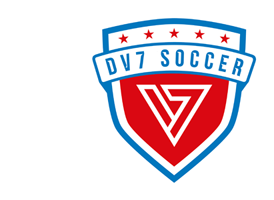 Sport DV7 Soccer aims to provide our players with the basics of the sport of soccer. Through the sport we aspire to elicit the best performance out of the players. Yet, at no moment should the children feel too pressured. The stress of too much pressure would be counterproductive for their personal growth and sporting development. To make this possible, we need the cooperation of the parents throughout the whole process as we teach the sport with the right method and perseverance, always guided by the rules of fair play. Education The club fulfills a social function that goes beyond the sport. We promote and convey to our athletes, family, and friends the importance of ethical and coexistence values. In addition, we intend to use sport as a tool to promote among the young athletes a culture of hard work, the value of integration, the spirit of improvement, healthy competition, and friendship. The well-rounded curriculum will not only help the players become skilled soccer players, but also help the children become culturally aware and socially responsible. Fun The teaching method we use is designed so that the athlete is constantly motivated and driven in order to guarantee a fun time, while learning the fundamentals of soccer that will provide a base for future success. Positive Club Environment We encourage among our players and their families a feeling of belonging to our club, hopefully generating good memories, friendship, a sense of accomplishment, and positive recollections the time spent with DV7 Soccer San Diego.